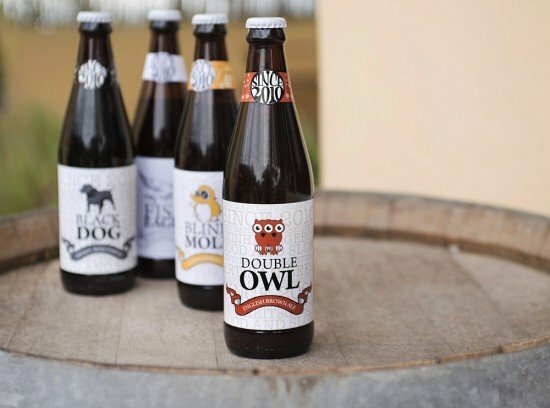 uniWines Vineyards from Rawsonville in the Breedekloof Valley has teamed-up with craft beer specialist Wild Clover Brewery from Stellenbosch to expand its offering to include quality craft beer in its beverage portfolio. A supplier of quality wine to the local and international markets, which includes a Fairtrade offering, uniWines Vineyards and Wild Clover have established a new company – Wild Clover Breweries. The joint venture will also allow the current Wild Clover brewery based in Koelenhof, Stellenbosch to increase its brewing capacity and to extend its tourist facilities. Wild Clover CEO Ampie Kruger says the local demand for craft beer is exceeding supply. “The co-operation with uniWines Vineyards will allow me to expand production, improve distribution and get a foot into the export market where South African craft beers are actually generating a lot of interest. The current Wild Clover range includes a Double Owl English Brown Ale, Black Dog Smokey Irish Porter, Blind Mole Crispy German Pils and Eagle Weiss Fruity Belgian Wit. Appel says that the quality of Wild Clover’s craft beer played a profound role in uniWines Vineyards decision to partner the brewery. Wild Clover Breweries in Stellenbosch will likewise be stocking a range of uniWines Vineyards products .